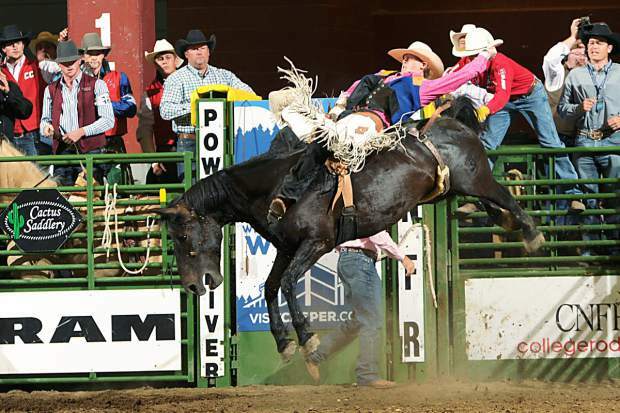 The 2016 Montana State University Spring Rodeo will run Thursday, April 7, through Sunday, April 10, at the Brick Breeden Fieldhouse. The action begins at 7 p.m. on Thursday, with performance rounds followed by the slack rounds. On Friday, slack begins at noon, with the performance at 7 p.m. On Saturday, short-go action begins at 7 p.m. On Sunday, slack gets underway at 8 a.m., with the matinee at 2 p.m. 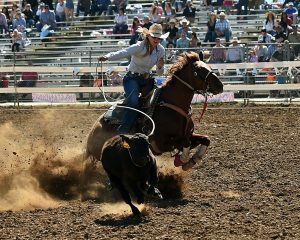 The four-day rodeo will feature the nationally ranked men’s and women’s Bobcat Rodeo teams competing against nine other regional teams: University of Montana, UM Western, Great Falls College MSU, Miles Community College, Glendive Community College, Rocky Mountain College, Blackfeet Community College, MSU Northern and Northwest College. Ticket prices range from $7-$12 for students (age 7-college), $13 to $15 for general admission, $17 to $18 for premium. Sunday tickets before 1 p.m. are $6. Children six years and under are free. For tickets, call (406) 994-CATS (2287), or for more information please visit http://brickbreeden.com/events/rodeo_2016/, the Montana State University Rodeo page on Facebook or the Montana State University Rodeo website http://www.montana.edu/rodeo and click the “Spring Rodeo” link.